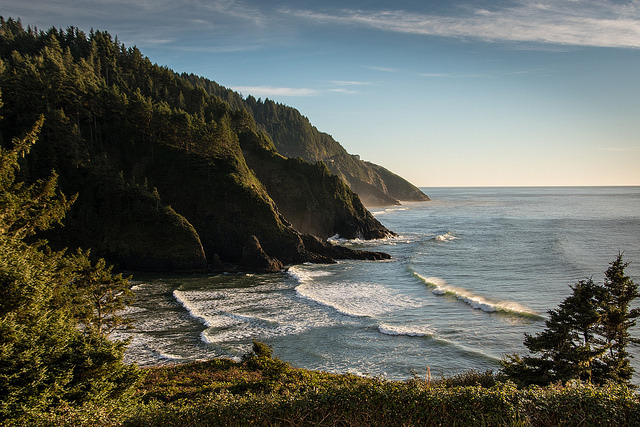 I think Vancouverites love the Oregon Coast because getting there includes a road trip through lush and familiar Cascadian forests, along with the unbeatable proximity of a coastal campground where wind-swept dunes meet the Pacific. I like it because it’s wild, it’s rugged, it’s sunny and sandy. 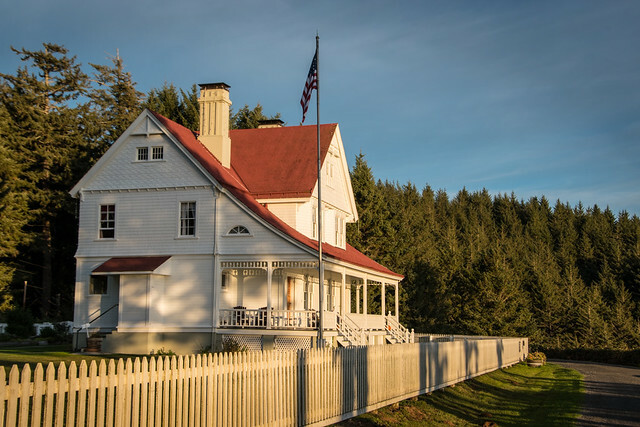 What made me fall in love, was learning about and experiencing its history first hand when John and I got to stay in the Heceta Head Lighthouse B&B last fall. 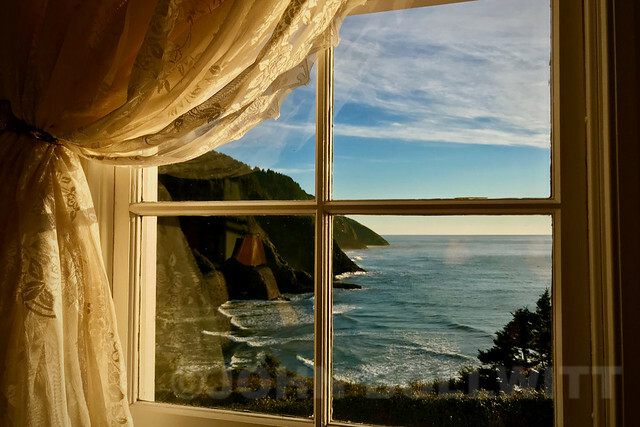 View from the private porch at Heceta HeadLighthouse B&B. John Bollwitt photo. 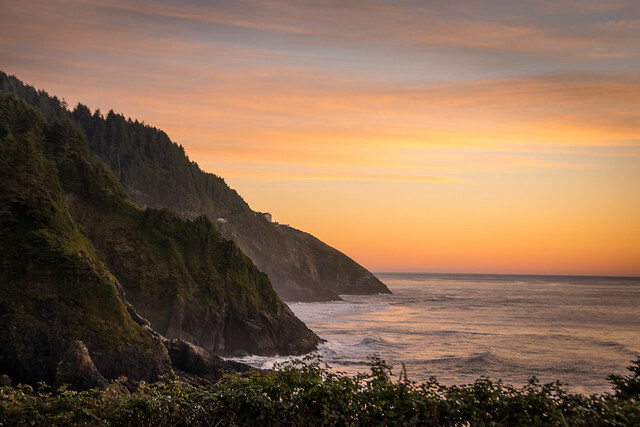 Located between Yachats and Florence, around the bend from Cape Perpetua Marine Reserve (where we watched from a highway viewpoint as humpback whales breaching) is Heceta Head Lighthouse. 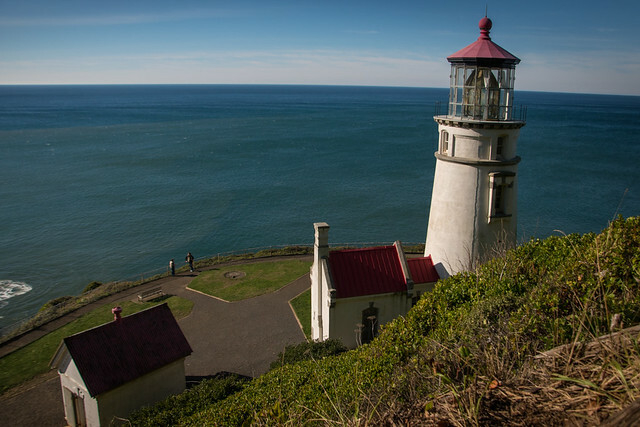 The iconic fifty-six foot monument is known as the most photographed lighthouse in America – and you can not only stay over in the light keeper’s house, it’s a darling B&B! From the beach at Cape Cove, behind you the traffic on the 101 rolls by on the Cape Creek Bridge but once you start up the 1/2 mile gravel path to the lighthouse all you hear are the sea birds as you come across the B&B’s white picket fence. 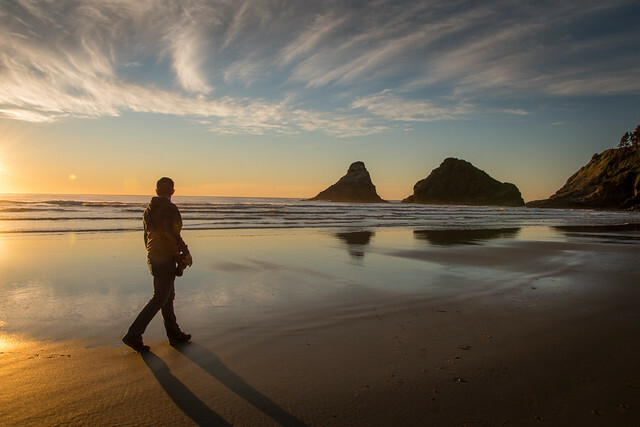 The yard is closed to the public, who are encouraged to continue up to the lighthouse, but for guests, it’s your own cliff-top retreat complete with verandah, wine hour, romantic rooms and fiery sunsets. 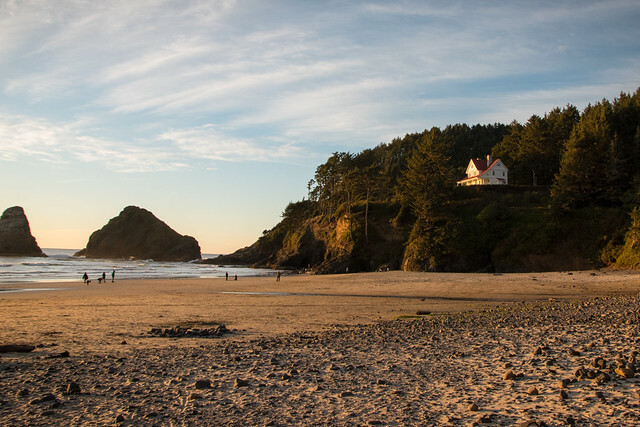 There are six rooms in this historic lodging, where pictures of lighthouse keepers and their families adorn the walls. Stained glass windows frame views of the shores below and two parlours have fireplaces, games, and armchairs for socializing. 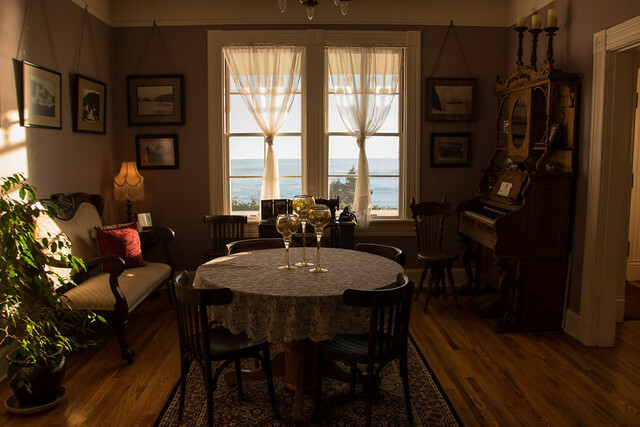 There’s four-post bed in the Queen Anne Room, a clawfoot tub in the Cape Cove Room, and views from every window. The best part (on top of the location and views) is breakfast. 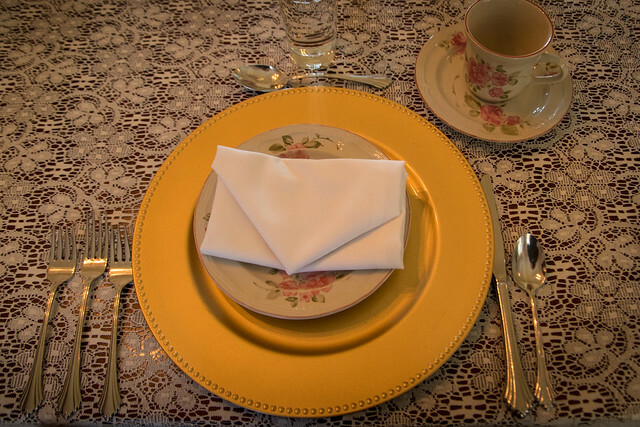 This B&B breakfast is seven courses! And if you’re staying more than one night, it will be different each day. 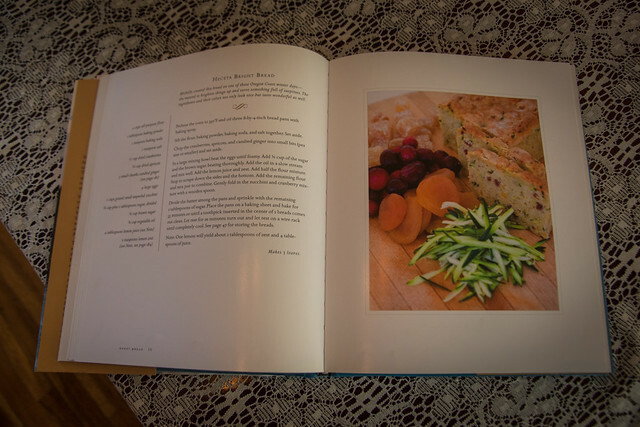 Our breakfast included: Watermelon with honey and mint; Heceta Bread (which you can find in the house’s own recipe book); Bay shrimp bruschetta; strawberry coconut frappe; cherry apple sausage, farm fresh eggs, lemon polenta almond cake (gluten free); a fruit and cheese plate with a pavé from Rivers Edge served with apples and edible flowers. 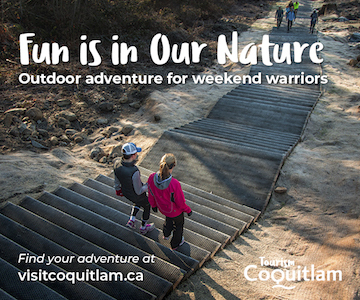 You’ll definitely want to take advantage of the areas many seaside hikes after that! 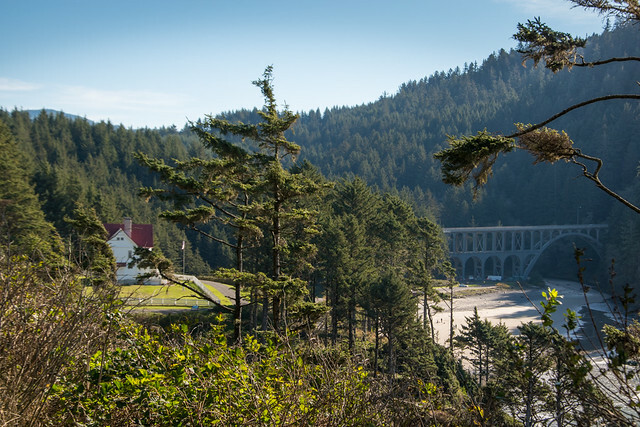 The views, the food, the new friends, the nature, the history – it’s all part of the incredible experience at Heceta Head. 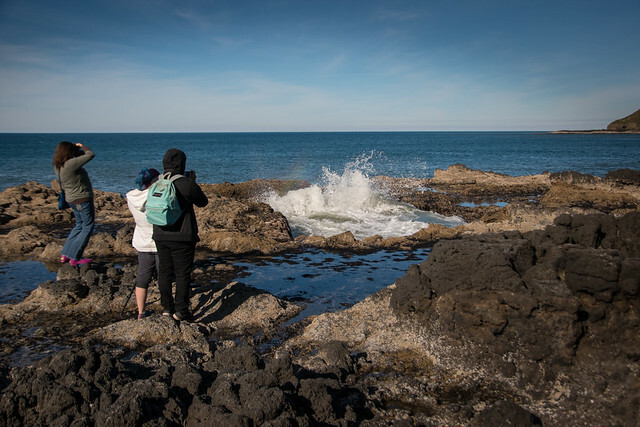 Make it your home base on the coast and also check out the nearby Sea Lion Caves, the Hobbit Trail, and natural attractions like Thor’s Well. This month is the 125th anniversary of the lighthouse if you’re looking to visit during Spring Break. This family-friendly free event will begin at 4:30pm with the U.S. Coast Guard hosting an opening ceremony. 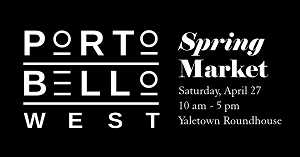 Hot dogs, refreshments and birthday cupcakes will be provided as well as live music and lawn games (weather permitting). 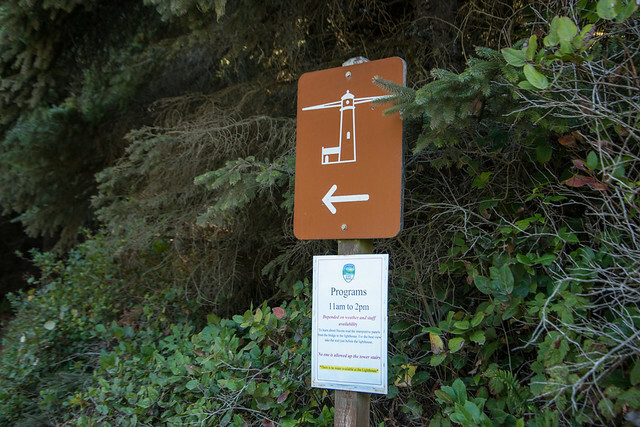 Local agency representatives will be present to talk to about the outstanding natural features of the area as well as docents from the Heceta Lighthouse Interpretive Center at the Keeper’s House and Oregon State Parksdocents at the lighthouse. 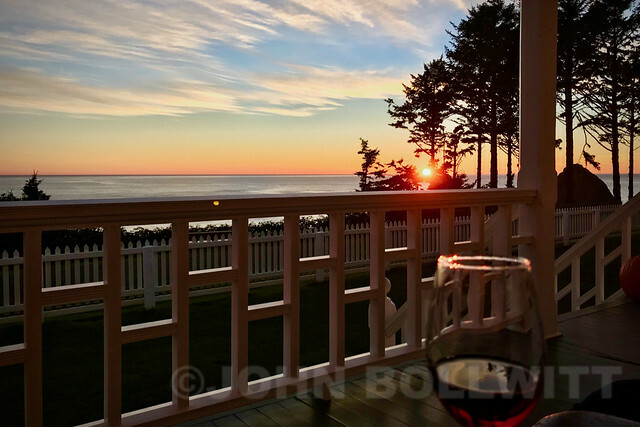 Book your B&B experience, plan your nights cuddled up on the wrap-around porch at wine hour before you take a moonlit stroll up to the lighthouse as the beacon beams across the ocean and the Milky Way illuminates the sky above. 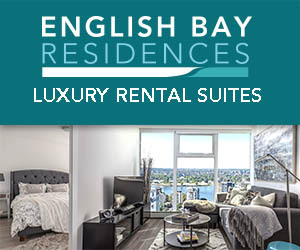 Rates start at $204/night and that includes the epic breakfast experience. There’s also a full kitchen in case you’d like to bring some of your own snacks (like local Tillamook cheese or some Oregon wine). The folks at Travel Lane County will be happy to help you plan your trip. Follow #EugeneCascadesCoast on Facebook and Instagram for info. Views are my own. Experience sponsored by Willamette Valley Oregon Wine Country along with Eugene, Cascades & Coast. Views and opinions are my own.